Centaurea nigra is a perennial, common on clay soils throughout Europe. It grows to a height of 3ft on poor ground, reaching 4ft in enriched garden soil. 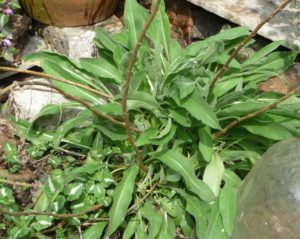 At Highbury it goes through winter with a circle of green leaves at ground level & the dry brown stems of last year’s plant which we leave in place. 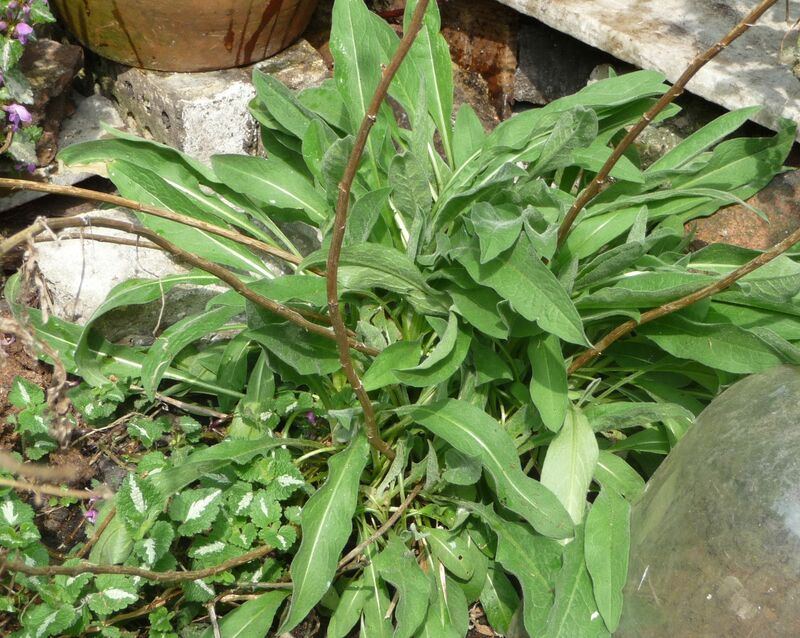 In spring, new stems rise from fresh leaves & masses of knobbly brown buds form at the stem-tips. By June these dusty buds open into small ‘shaving brushes’ with shaggy LAVENDER heads. 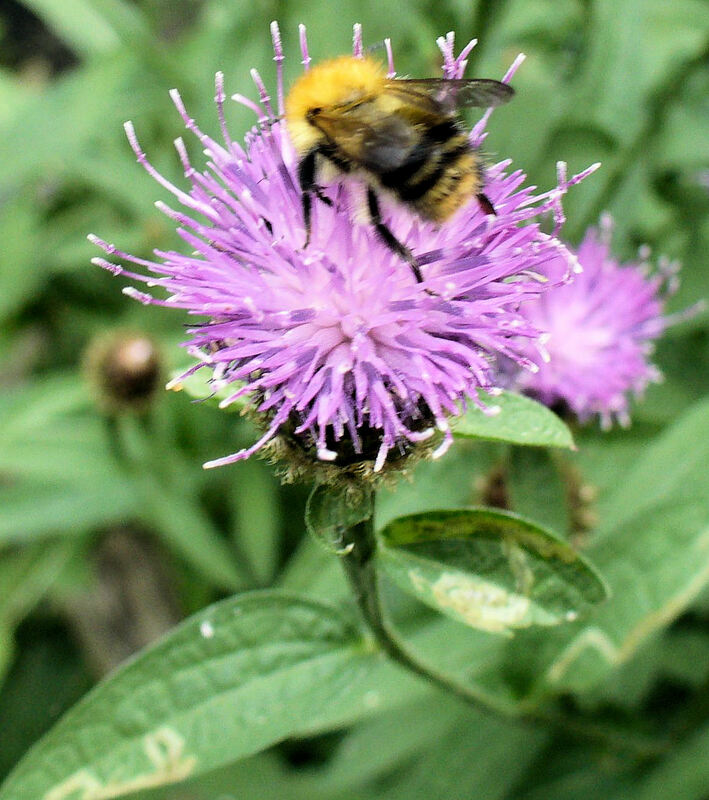 They are pollinated by bees, flies, moths & butterflies. 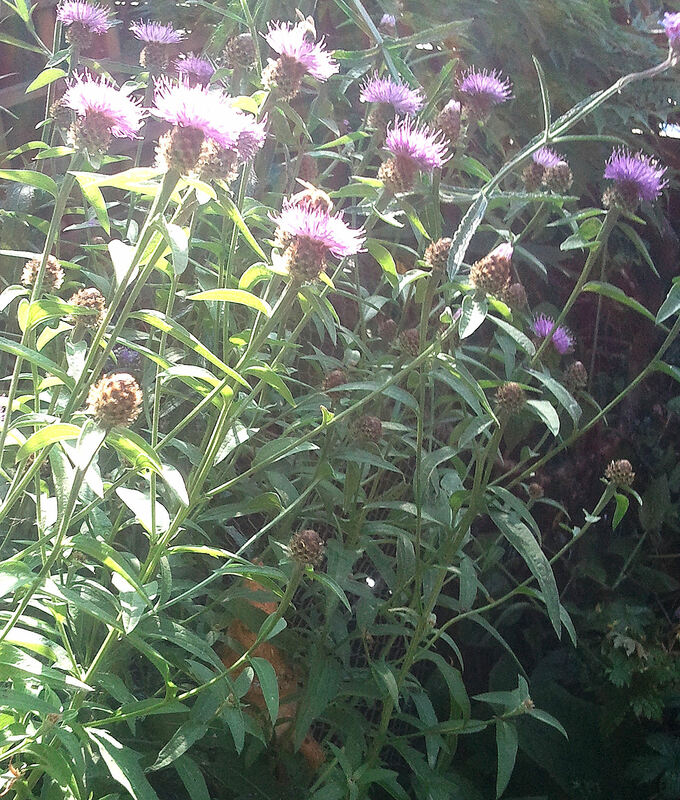 Although Knapweed can flower until September, it usually only blooms until late August here in North London. But for every day a flower blooms it is a magnet for insects. You can almost hear the bees sigh as they fly in to find that the last shaving brush has gone over. 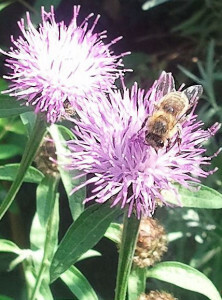 It is as though bees overfly the garden in spring, keeping watch on the Knapweed. When its brown buds have at last become shaving brushes, the pollinators come. 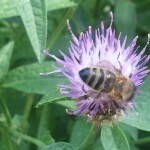 Soon the air above the Knapweed is alive with insects seeking pollen and nectar. Around the UK bees, moths, hoverflies & butterflies – including Brimstone, Comma, Common Blue, Large Skipper, Marbled White, Meadow Brown, Painted Lady, Peacock & Small Tortoiseshell – visit this wildflower. 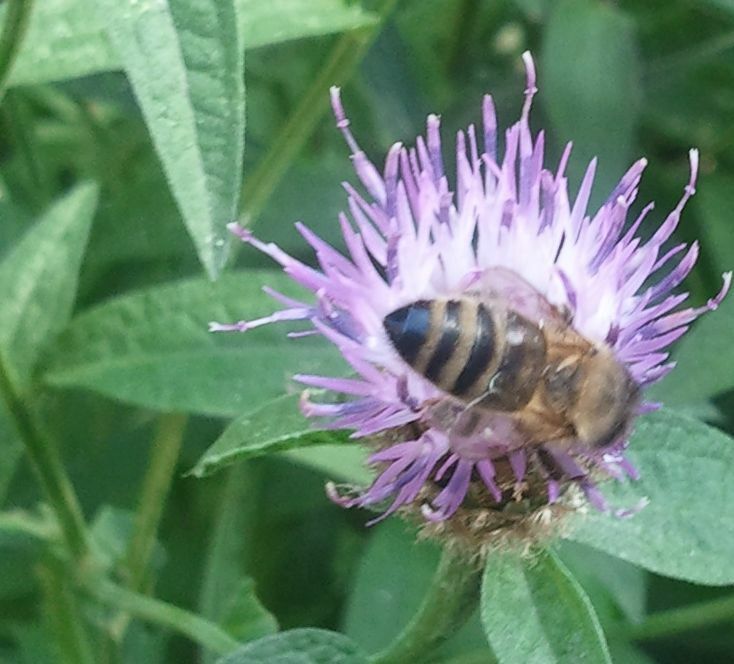 Pollinators come for the nectar the plant provides. ” It was rated in the top 5 for most nectar production (nectar per unit cover per year) in a UK plants survey conducted by the AgriLand project which is supported by the UK Insect Pollinators Initiative. It also placed second as a producer of nectar sugar per floral unit among the meadow perennials, in another study in Britain. 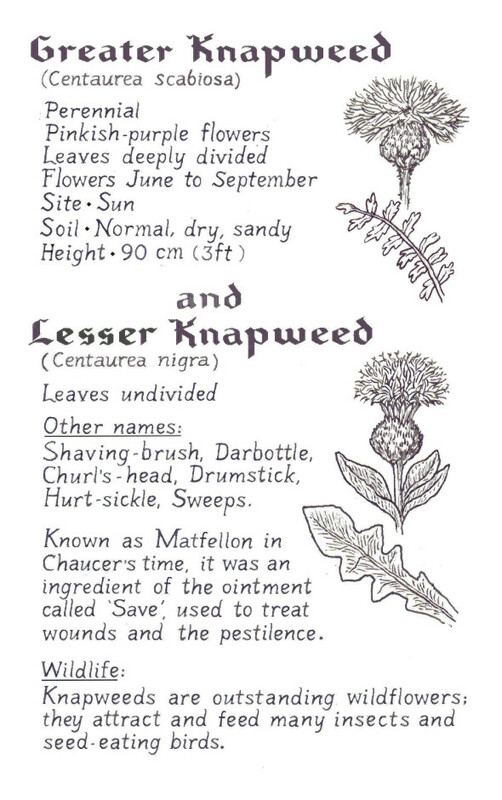 Other names: Bachelors Buttons, Black Knapweed, Blue Bottle, Bunds, Centauree Noire, Dromedary, Drummer Boys, Drummer Heads, Gnat-flower, Hackymore, Hairy Head, Hard Hack, Hardheads, Hickymore, Horse Hardhead, Horsehoof, Horse Knot, Iron Knobs, Ironweed, Isenheard (Old English), Knot-weed, Lady’s Cushion, Spanish Buttons, Yronhard & Zwarte Knoop. 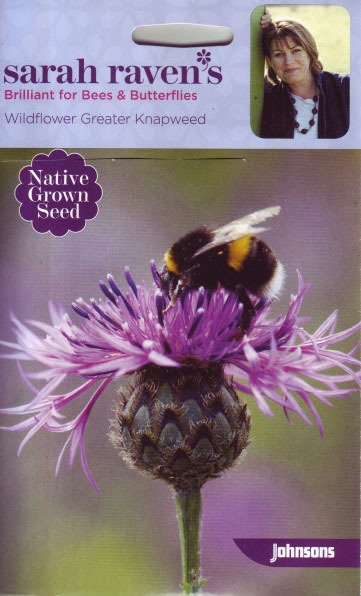 This Norfolk company began in 1986 & now has over 300 species of native wildflowers, all grown peat and pesticide free. 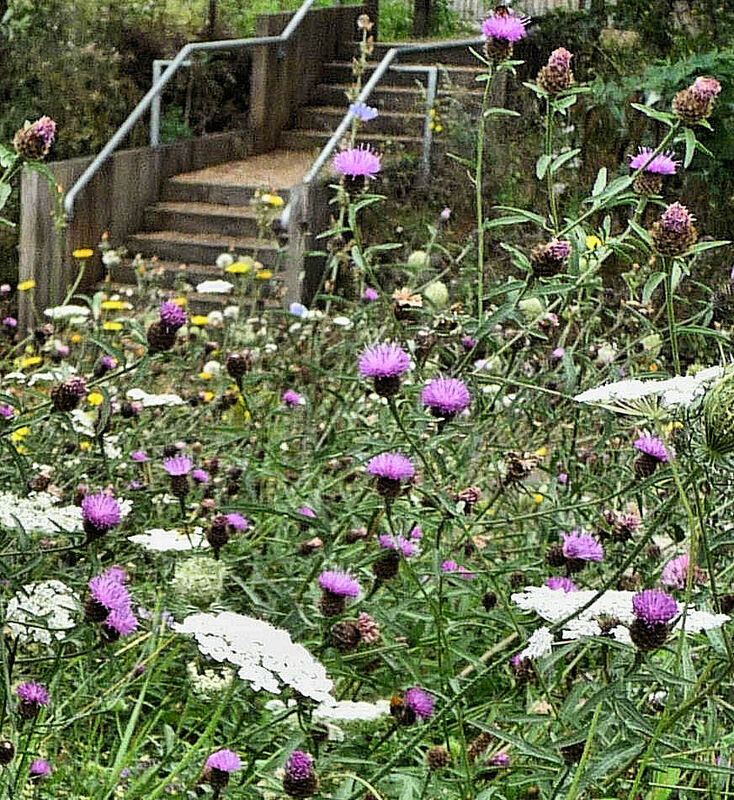 They have supplied wildflowers for our local nature reserve, Gillespie Park, for Ecology Centre wildflower sales & planting on the reserve as well as planting on the reserve. Also available from a garden centre near you.